Panels - an amazing decoration which can not only decorate the wall of an apartment or country house, but also to completely transform the interior. 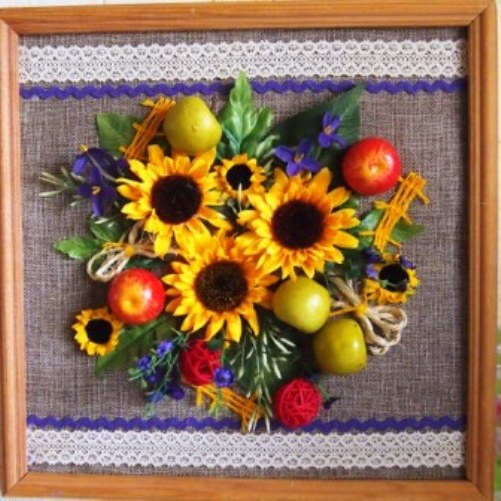 A little artificial flowers for panels, select a background and a good solution for decoration of any room found. There are a huge number of techniques to make decorative panels on the wall. Your task is to choose one that is easy to perform and will help to implement the plan. To create decorative panels on a wall of colors, you need to choose a background for your picture. In the background you can use a different fabric, cardboard, decorative paper or any other available materials such as pressed leaves, sisal - natural coconut fiber. 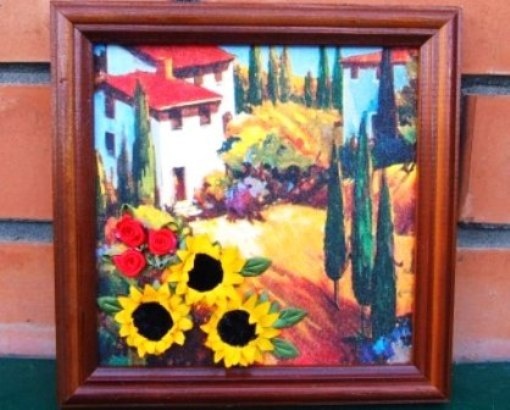 For kitchen in ethnic style will suit a mural of sunflowers. As a basis you can use any fabric, but the most spectacular sacking. A bit of lace, artificial fruits, and the work is finished. In this case, as the background for a mural on the wall of the used napkin for decoupage. She pasted on watercolor paper using the iron and plastic wrap. Pair panels cloth with the landscape. Peel off the top layer, put it on a piece of watercolour paper cling film, then a napkin, on top of a sheet of white paper. Fit a sheet of paper for the copier. Iron with a hot iron. Cut, cover the top with acrylic lacquer. Add on panels of artificial flowers. Insert panels in frame and hang on the wall. 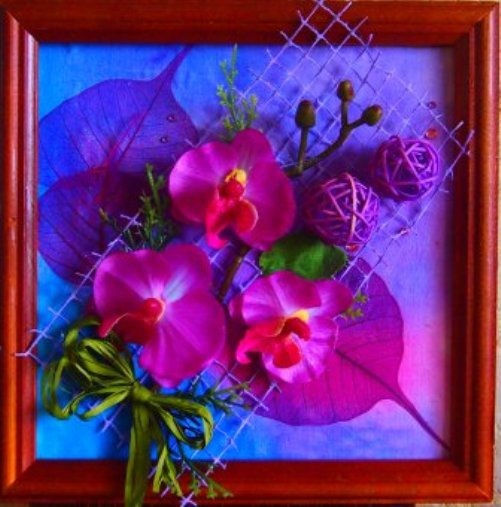 To make a decorative mural on a wall of colors, you can use artistic background. 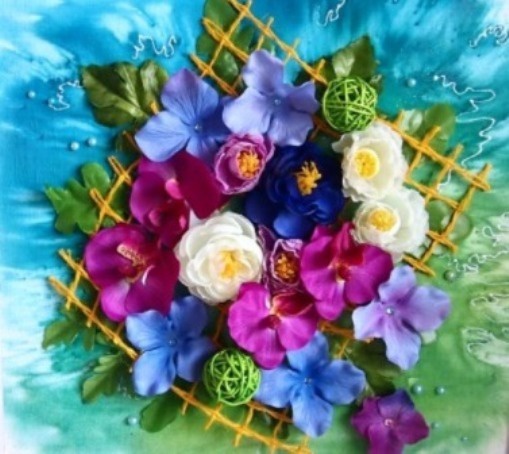 For this you will need watercolor paints, pencils, pastels, gouache or paint for batik. Gouache is diluted with water and applied to paper with a brush or using the stamp. Paint for batik is applied to wet fabric with a brush, making a harmonious transition from one colour to another. Watercolor paint is applied to wet the background, barely touching the brush to paper. The pastels used to create calming tones, using several shades of one or two colors. Artistic background is very good, if you have little material to decorative panels. To make a decorative mural on a wall of colors, use different materials. For the base - plate, a plank kitchen, wicker shallow dishes, various mats, twisted twine. If you need a background experiment with various art materials: paints, contours, sequins, simulating gel.